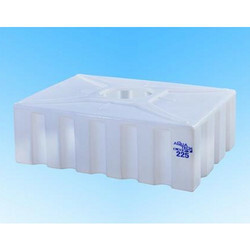 Pioneers in the industry, we offer loft tanks, white loft tanks and plastic loft tanks from India. Available Color White, Black, etc. As Synonym of quality, durability, and safety, aqua Tech was launched by Carris Pipes and tubes (Pvt) Ltd in the year 1996. In a short span, it has climbed up the ladder, and now is the largest producer of water storage tanks in South India and the second largest in the nation. Adopting new-age manufacturing technologies and by following its stringent quality management, Aqua Tech has earned the recognition of various global standards like BIS, ISO, along with "ARM" and Star memberships. 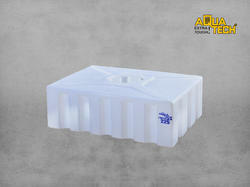 Aqua Tech has three functional units in three different states. Kochi in Kerala, Vijayawada in Andhra Pradesh and Coimbatore in Tamilandu and have a total production capacity of 7.25 Lakh liters per day. Today Aqua Tech offers water storage solutions, cold storage solutions, Lavatory solutions, waste management solutions and also contribute to the booming automobile and agricultural industry in the country. 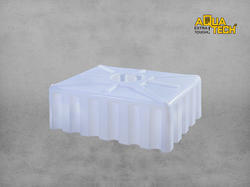 We offer Plastic Loft Tanks to our clients.